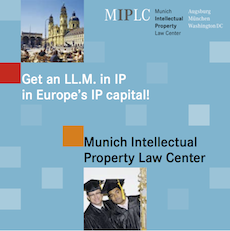 Compulsory Licensing by the Copyright Board: Whither Copyright Expertise? SpicyIP just discovered that the mother of all compulsory licensing battles is being waged before the Indian Copyright Board, a statutory body entrusted with certain specific tasks under the Indian Copyright Act. 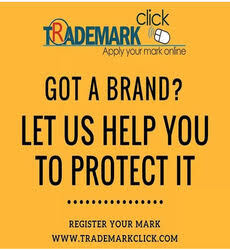 The warring factions involve radio stations (such as Radio City and Radio Mirchi) on the one hand who are seeking to gain compulsory licenses to broadcast music at low rates, and content owners (T Series) or administrators (PPL, IPRS) who wish to peg the rates as high as they possibly can. As noted in previous posts on this blog, this matter went right up to the Supreme Court and Justice Sinha categorically held that there is an automatic compulsory licensing right in favour of the radio stations i.e they could broadcast such music upon the payment of reasonable royalties. The key issue now is: what is a reasonable royalty? At the first instance, the copyright board opined that Rs 660 per needle hour was the royalty to be paid. However, this was challenged as an arbitrary figure, as the Board did not really give sufficient reasons for why it thought that Rs 660 represented a reasonable figure. The Supreme Court therefore quashed the Board’s arbitrary figure (order) and remanded the case back to the Board. In this second inning, one hopes that the Board will consider expert evidence and come up with a well reasoned “reasonable” royalty figure. Apparently a number of expert affidavits have been filed, including that of the noted economist, Bibek Debroy. While the radio stations wish the rate to be even lower than Rs 600 (and some of them have suggested that it should be 2.5% of the advertising revenues), the recording industry wants to peg it at Rs 2400 per needle hour. 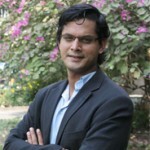 However, till such time as the Copyright Board came up with its figure, parties to this dispute have privately agreed to follow the Rs 660 per needle hour figure. The substantive merits of this dispute notwithstanding, what really troubles one about this case is the fact that the Board consists of members with little or no copyright expertise. Leading to the question: is there a constitutional challenge in the offing? From the above list, a Board consisting of 3 members is normally constituted to hear specific matters under the Copyright Act, when the need arises. For the current compulsory licensing dispute, the Board consists of Dr Raghbir Singh (Chairman), Secretary to Union Law Ministry, and Law Secretary, Govt of Bihar. To the best of my knowledge, none of them have had any prior copyright expertise or experience. Why is it that the Board does not include at least one person with decent copyright expertise? Its not that this country lacks folks with some experience in this area. What about some of our earlier copyright registrars? Two excellent names immediately come to mind: Zakir Thomas (author of the legendary “no copyright over fonts” decision and now advisor to the CSIR on its OSDD project) and Madhukar Sinha (now a professor with the Center for WTO Studies). Given the lack of copyright expertise, can one question the constitutional validity of such a body? Perhaps the case concerning the constitutional challenge to the constitution of the Competition Commission might help in this regard? For those interested in a quick overview of this case, in Brahm Dutt vs Union of India, the petitioner challenged the constitution of the Competition Commission on the ground that although it was vested with judicial functions, it was to be headed by a bureaucrat. This contravened the constitutional scheme of separation of powers. Although the Supreme Court agreed with the Petitioner, it refused to rule on the matter, since the government undertook to pass amendments to create a separate appellate body that would be vested with judicial functions. The resulting competition commission would then be a purely regulatory body. How does all this apply to the case at hand? Sections 11 and 12 contemplate judicial functions for the Copyright Board. Cannot a similar argument be made here: that the Board must be presided over by a judicial officer to be appointed by the judiciary? Qualifications of Chairman: Breach of Copyright Act? Secondly, the Copyright Act clearly states that the Board shall have the powers of a civil court and that the proceedings shall be in the nature of judicial proceedings. But the composition of the Board outlined above does not appear to possess any judicial expertise (I could be mistaken in this assumption..so please feel free to correct me). Thirdly, and perhaps most importantly, the Copyright Act (section 11.3) clearly states that the Chairman has to be a judge of the High Court, or an ex judge or qualified to be a judge of the High Court. I’m not entirely sure if the present Chairman, Dr Raghbir Singh fulfills this requirement. But here again, I could be mistaken. What I do know is that Dr Singh was earlier with the IPAB. And prior to this, he appears to have been with the National Commission for Scheduled Castes . Google searches indicate that he possesses a bureaucratic and not a judicial pedigree. For those who have more information on this, please do share. For if the Chairman is not so qualified, it is a serious contravention of the Copyright Act. And all the proceedings of the Board so far will be null and void. The Government of India ought to seriously review the constitutional implications of such a Board with no real copyright expertise. For it will be a criminal waste of time and resources, if it permitted the Board to continue with its proceedings only to find at the end that it suffered from serious constitutional infirmities. 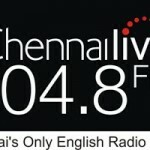 ‘Chennai Live’ 104.8 calls PPL’s bluff on U.S. Sound Recordings – Finally! 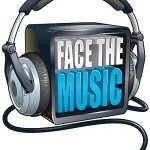 Is there a need to break up the cartels in the radio – music labels negotiations? 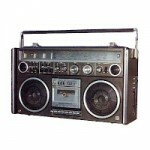 Statutory licensing for radio stations to be dropped from Copyright Amendment Bill, 2010?